It's Illinois's first bobcat hunt in four decades. After 40 years of protections, bobcats in Illinois are running for their lives. Last Thursday, amid heaps of controversy, the first bobcat hunt in the state in four decades began. "The recovery of the bobcat population in Illinois is a conservation success story," a representative for the Illinois Department of Natural Resources (DNR) told The Dodo. "Bobcats were placed on the state threatened species list in the 1970s, and that protection and habitat restoration have helped increase bobcat populations to allow for a sustainable hunting and trapping season." Bobcats are largely solitary animals - they're so shy that it can be hard to estimate their populations because they prefer to stay out of sight, according to Marc Ayers, Illinois state of affairs director for the Humane Society of the United States (HSUS). When they're young, bobcats stay close to their mom, who spends the first couple of months nursing the helpless kittens. At around 5 months old, they learn to hunt. Then, at around 8 to 11 months old, the kittens go off on their own. Bobcat populations all across the U.S. were decimated by the early 1900s due to habitat destruction and the value of their fur. With successful protections, their populations started rebounding, which is leading some places, like Illinois, to allow hunting again. "Before they were protected in Illinois 1972, bobcats were nearly extirpated from the state due to over-trapping, and their ongoing recovery has been slow," Ayers told The Dodo. "Even without this renewed threat of hunting, bobcats faced additional impediments to their comeback including incidental trapping, vehicle collisions, poaching and impacts from habitat loss. With this new season, they now face the same methods that led to their demise in the first place. " Loosening bobcat protections, the DNR sold 500 bobcat hunting permits by lottery; 6,416 people applied for a permit to kill a bobcat. The hunt, which will last until January, will allow people to shoot bobcats with guns or bows and arrows, chase them down with packs of dogs and trap them in steel-jawed leghold traps. There are apparently no regulations about sparing bobcats who appear to be nursing mothers to litters of kittens. Calling these hunting methods cruel, animal advocates are also pointing out that the hunt has far more to do with "fun" and making money than actually controlling the population - especially since there hasn't been a proper census to determine exactly how many bobcats there are in the state. According to HSUS, the state has been using bobcat population data collected from 1995 to 2004. And there's money to be made. 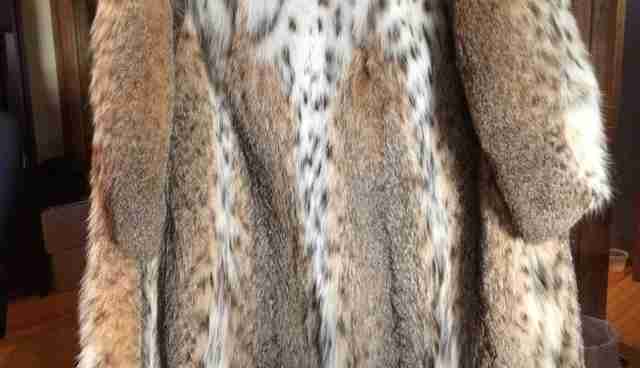 Bobcat pelt exports from the U.S. have skyrocketed in recent years; In 2014, about 59,000 bobcat pelts were exported to places like Russia and China. A fur coat can be made from about up to 50 pelts and sell for up to $150,000. "The rationale used to defend this hunt was ludicrous for a number of reasons, including the fact that there's never been a statewide population study," Wayne Pacelle, president and CEO of HSUS, wrote, adding that bobcats pose no risk to public safety. "Illinois' native carnivores - including bobcats - were once abundant, but then were wiped out because of unregulated hunting, predator control and habitat loss," Pacelle said. "After being listed in the state as a threatened species in 1977, bobcats began a comeback and reclaimed some of their original habitat. Unfortunately, the state's trophy hunters and trappers saw this restoration as an opportunity, rather than as a cause for celebration." Luckily, at least one person who was awarded a bobcat hunting permit doesn't plan to use it. Natalie Lichtembert applied for the permit deliberately to prevent a hunter from getting it. 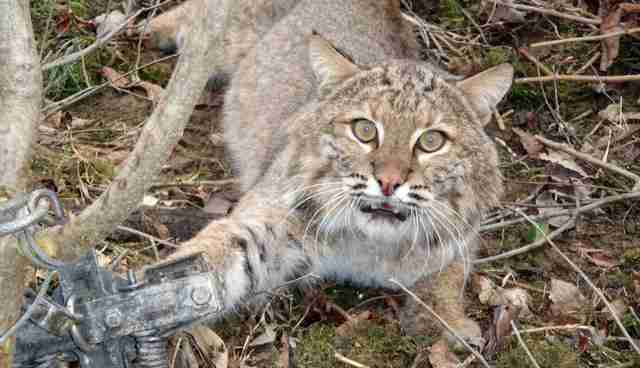 "I'm using it as a way of not taking a life, so that hopefully only 499 bobcats will be killed," Lichtembert told the State-Journal Register. "There is no way to determine that the bobcat levels are such that we can actually start taking them, and it's all based on monetary gain for people rather than for the lives of the animals." 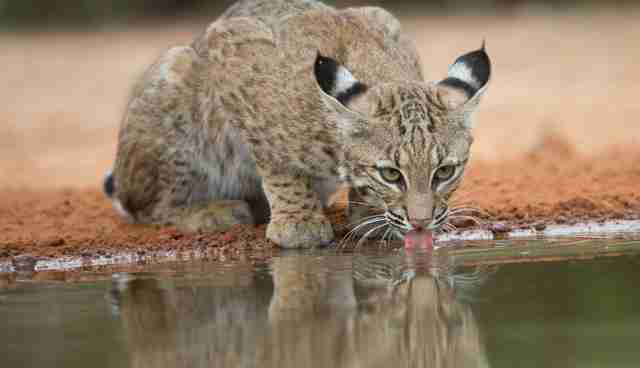 Click here to sign a petition against the bobcat hunt. Click here to take action against using fur for fashion. Click here to learn what you can do to take action for animals in the U.S. over the next few years.